UPDATED! Beautiful and Spacious with a heated pool. Split floor plan, nicely furnished, king bed in the master, queen in the second bedroom and two twins in the third. Living room, large family room and large kitchen. 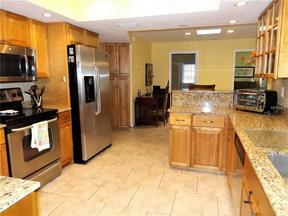 Kitchen has granite counters, stainless steel appliances and a wine refrigerator. Owner will consider a small dog, no cats. There is a fenced area for the dog. A seasonal golf membership is available for purchase. NOT AVAILABLE FOR SEASON.